You can always find a wide choice of new caravans available to suite every need. 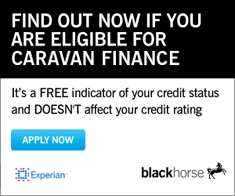 Quality pre-owned vehicles for those who want to enjoy a caravan without a major investment. Steven & Nigel worked together at Wandahome Knottingley for 25 years. In 1997, they purchased the South Cave depot from Don Waudby of Waudbys Caravans. In 2007 they demerged the two companies; Nigel retaining Wandahome Knottingley Ltd & Steven forming Wandahome (South Cave) Ltd., both completely separate companies. Please note that ‘WANDAHOME was Steven & Nigel’s Grandfather’s company name so it was very difficult at the time of demerger for one or the other company to be called a different name. With over 55 years of experience in the caravan industry, Wandahome in Knottingley are one of the top UK retailers for new & special edition caravans, awnings and accessories, as well as providing an extensive range of pre-owned caravans. We are a main stockist for Coachman and Elddis caravans and take great pride in the level of service we provide. Whatever your purchase, Wandahome are commited to excellence and value throughout your experience with us. In all instances, experience is preferred but training will be given to the right person. Please email: chowsam@wandahome.co.uk with your CV or to ask for a job description on your preferred vacancy.